Carbide technology means sabre saw blades last up to 20 times longer. If cutting through the toughest materials is an important part of your job, the new range of carbide technology blades from Bosch Professional can transform the way you work. The eleven blades in the range are designed to fit sabre saws – and the carbide technology engineered into them delivers enhanced cutting strength, durability and longevity. The blades are also cost-effective, because they have a cutting life that is up to 20 times longer than standard blades. So cut for cut, you’ll be paying less when you use them. The carbide technology also delivers a cutting action that is faster and less tiring for the tool operator. One of the most popular blades in the UK is likely to be the Endurance for Heavy Metal. As its name suggests, the blade is designed to tackle high strength steels. It will also slice through heavy gauge cast iron and even security locks. The blade’s extra wide body and extra thickness deliver both precision and stability while cutting. It’s available in a variety of lengths – 100mm, 150mm, 225mm and 300mm. As brick is one of the most commonly used building materials in this country, the Endurance for Brick blade is also likely to be in demand. 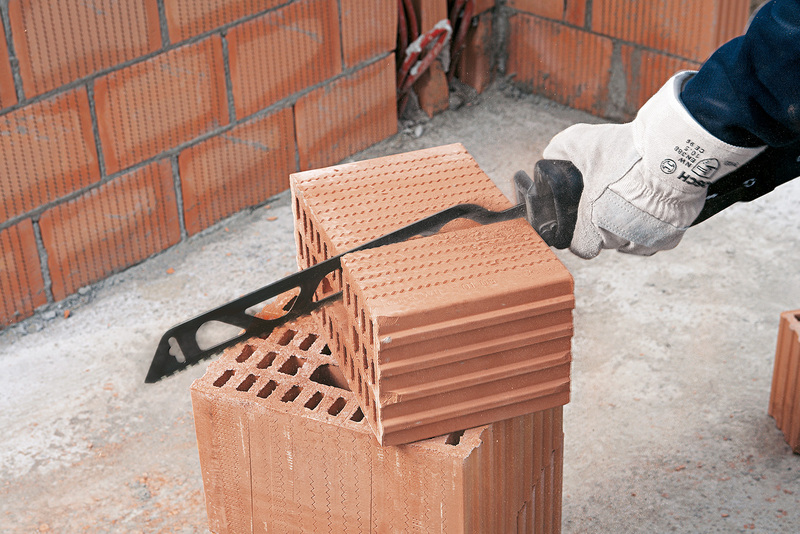 This blade can make short work of solid or perforated brick, clinker brick and firebrick, as well as gypsum and grout. The design of this blade sets it apart visually from others in this range. The distinctive cutouts in the blade body reduce its weight, which means less vibration and fatigue for the user, even during continuous cutting. While the large carbide teeth on the blade deliver a robust and long cutting life – exactly what is needed for a hard construction material like brick. Thanks to the cutting depth limiter, uncontrolled teeth engagement won’t be an issue either, giving safe and steady sawing whenever the blade is in use. There are three blade length options of 240mm, 305mm and 455mm. Next : Are you the country’s best bricklayer?